It’s spring, and I intended to begin this blog last night with images of new-blooming flowers that are everywhere and determined to be admired. But one of our dangerous spring storm fronts was approaching then, snaking a mean red line across the TV. A characteristic line, but I will never get used to it. Not only our flowers demand attention in spring. The bad news was, the storm front was coming fast. The good news is, it was then gone fast. Until next time. But if you live in a magical place is it not fitting there would be occasional terrors? 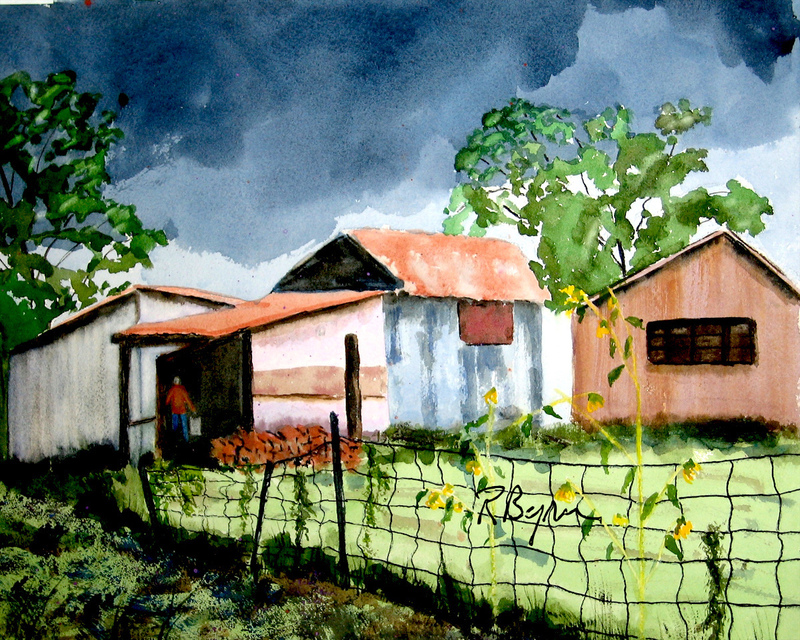 Now the weather has left us intact and and we have a new day. Here is the backyard dogwood tree this morning. Cornus florida. It budded and bloomed in the blink of an eye—or less than a week, however you count time. It’s probably 70 years old and it has character. Every three or four years a limb falls off for no reason I know. Dogwoods have to compete with the big trees for space and nutrition. The ones that have to be the scrappiest are the ones I like best. 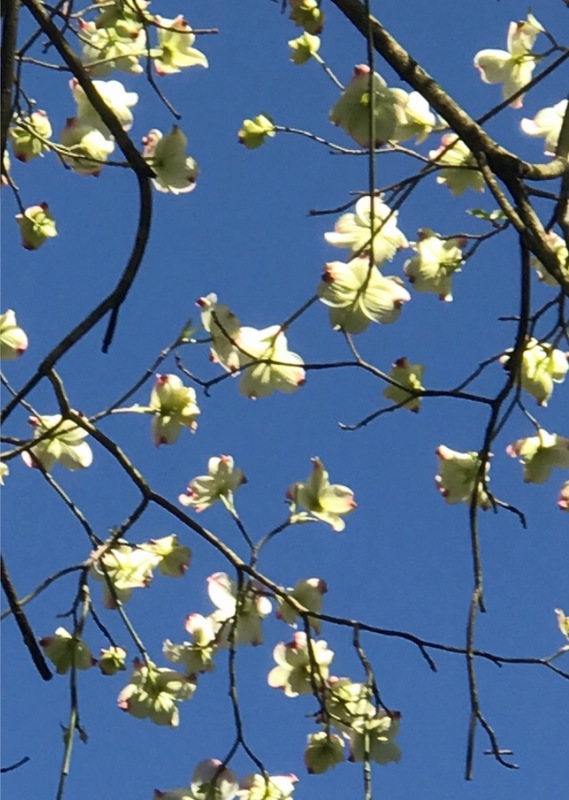 World-over, many species of dogwood are native to temperate climates, and we are especially blessed with them here in the southeastern United States. I like remembering they are sustenance for other creatures. 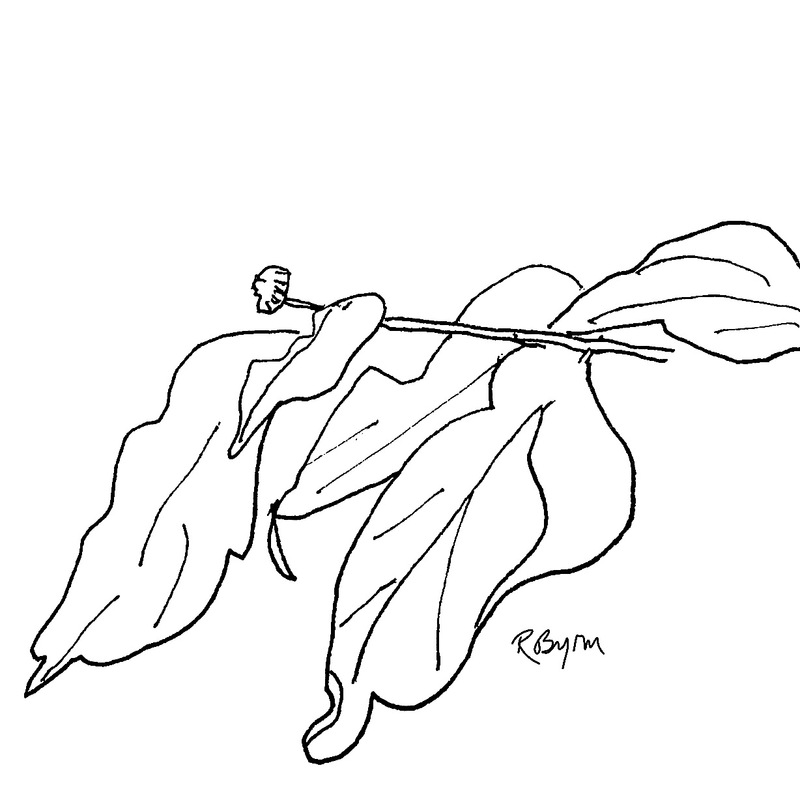 The larvae of butterflies and moths feed on dogwoods, although I’ve never caught them at it. (Some feed only on dogwoods.) Birds eat the red fruits. The bark contains tannin, and back in the generations folk made a tea from it for pain and fever, and used the leaves as poultices. Some of the old one-of-a-kind musical instrument makers used dogwood. They are lyrical trees, sometimes so poignant they are near heartbreaking. 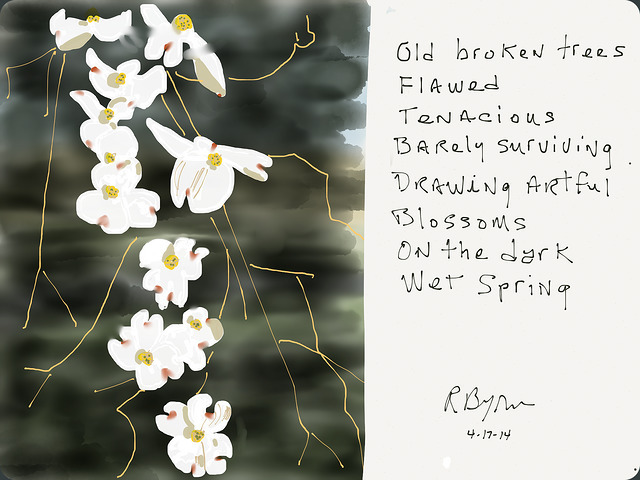 Here is a haiga-illustrated poem about those. Propagation is busting out all over. Last night’s rain scrubbed the coating of oak pollen off everything and floated it like a mustard topping on the streams going down and away. But no relief for allergy sufferers. Thirty-one kinds of oak trees live here, and they will get busier and extrude more yellow powder than was lost. 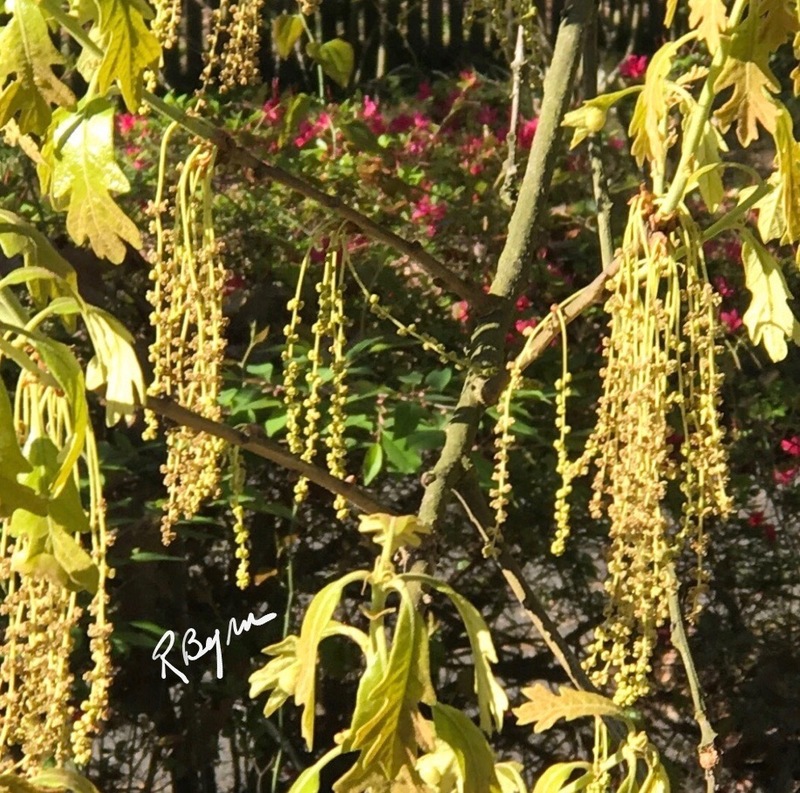 Oaks have both male and female flowers. Their pollen producing behavior is in-your-face lusty. The maples say to the oaks, “You do it your way, I’ll do it mine.” Theirs is more elegant. 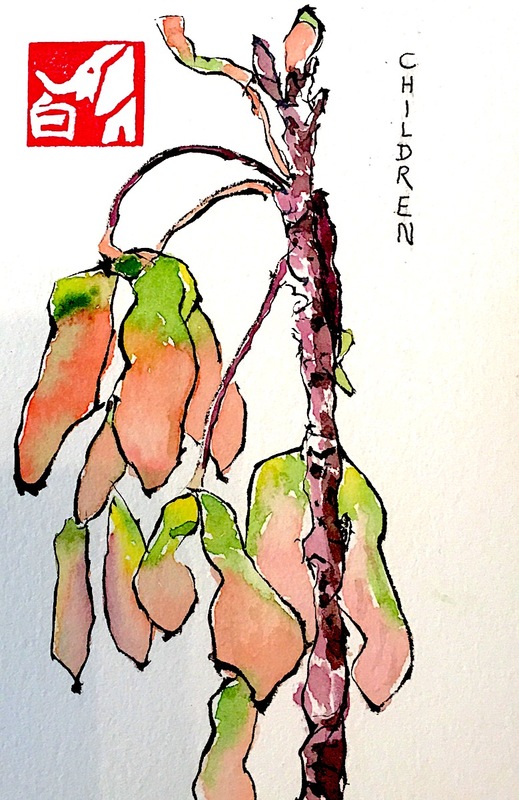 This time of year the ten kinds of maples we have here clothe themselves not in leaves but in the glory of their countless seeds. This means spring maples decked out in literally indescribable colors: no words for those colors. Much more subtle than their fall colors. Then they release the millions of seeds into the storm winds. Whirlybirds we call them as kids, and what kid hasn’t played with them? 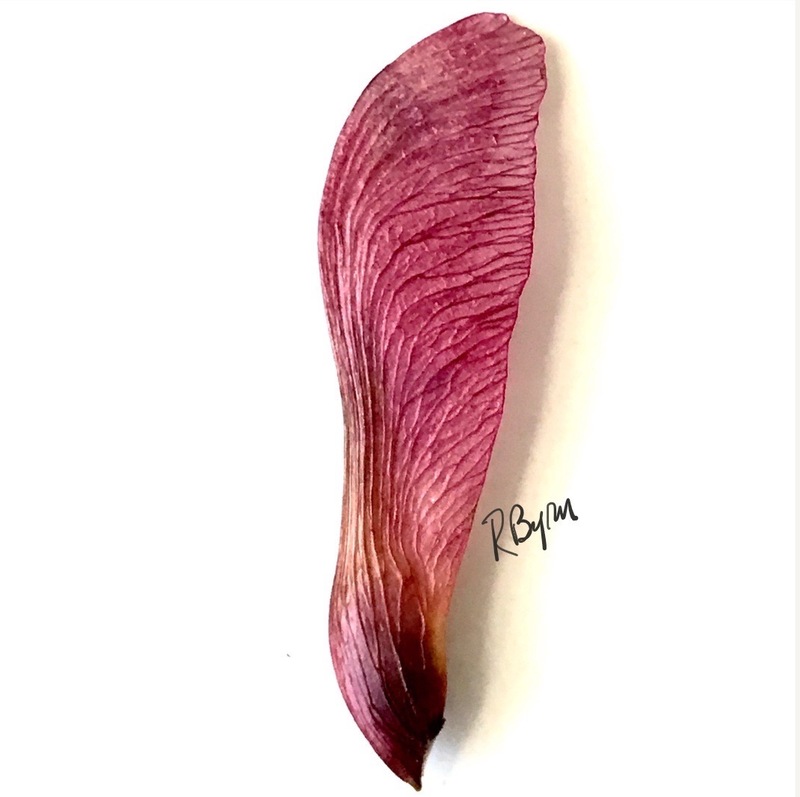 When I hold one of these exquisite and purposefully designed seeds in my hand and look at it, I am contemplating Mind. The robins go besotted this time every spring. My theory is, on the tick of the Spring Equinox a switch flips in their brain and they are instantly hormonal and wacko. As I write they are fighting in the streets, causing near car wrecks. Every morning now at 4:30 one of them perches somewhere just outside my bedroom window and yells. Not sings, yells. Loud enough to wake me and keep me awake.They can sing, as we all know. Today when I happened to step outside the back door I was hit by a disgusted stare from maybe that same bird. She had lit on the fence with a long string of golden dried grass hanging from her beak. She said with her look, “WHY NOW? WHY ME? GET OUT OF THE WAY!” I saw I was between her and her intended nest site, which was on the patio ceiling fan. Another strand of grass was hanging from there. I said to her, “This won’t work. For several reasons. One of them gruesome. I remember that from last year, and I wish you did.” I pulled the grass off the fan, and as ostentatiously as possible I took it out in the yard and dropped it there. My thought was, maybe we could salvage that much at least, and she could use it somewhere else. 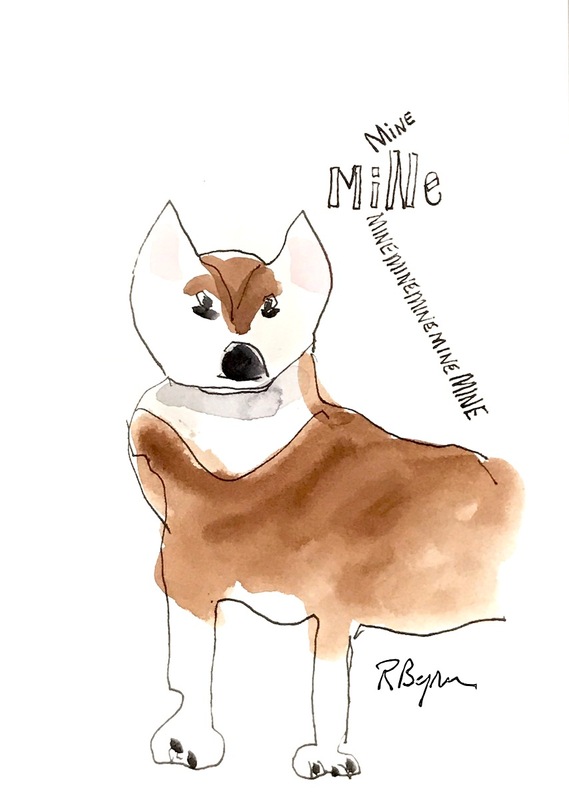 But no, The Dog had watched me too, and she went to the piece of grass and delicately picked it up and said, “This is mine,” and trotted away with it, around the side of the house. Ms. Robin was still there, glaring. I said, “I kept the perfect nest y’all built last year. I put it in a basket to keep it safe. I sacrificed my hot rolls basket. Here . . .” and I got it out of the patio’s utility room and showed her. 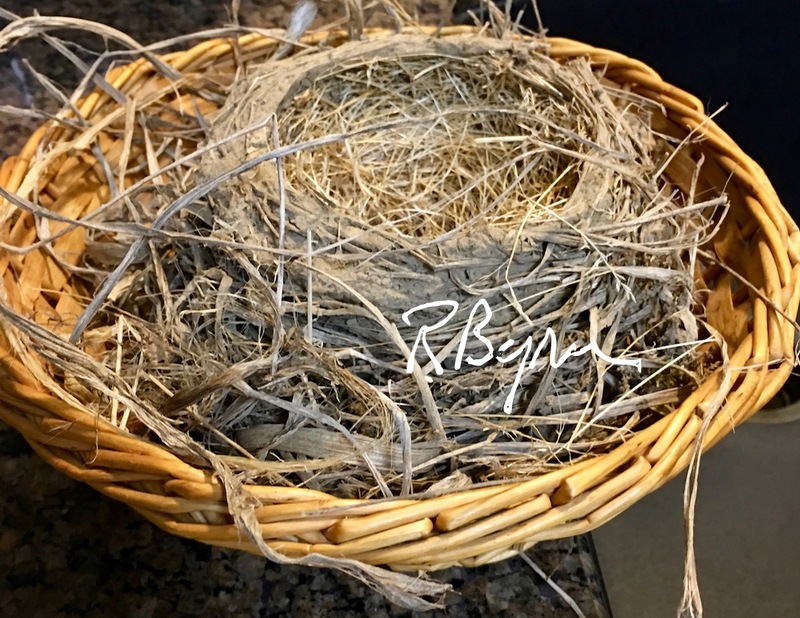 I said, “I may be the only person you know who has a spare robin’s nest. It would thrill me if you’d use it. I wonder if there’s any way.” By that time The Dog was back and said about the nest, “That’s mine too.” I just looked at her and she could tell that was all there would be to that. I stood there with my saved nest, turning over in my mind what a shame to waste it. But I am older and wiser now (am I not?) and I let go of that notion. You can lead a horse to water, and you can lead a robin to a pre-owned nest, and you know how the rest of that goes. I can hardly wait for your next blog and all the rest to come! How exciting. Donna, thank you so much for looking and giving me this encouragement. Your opinion is so important to me. Love, Dee. Fantastic! Entertaining, intelligent, artistic, and informative. I could read your writing all day! Well gee gosh! Thanks so much for these wonderful comments Cheryl! Hope I can keep you continuing to like it. I love this, Ruth! But of course I just knew I would. I’m looking forward to more, and being able to look back, too, and enjoy this entry again. Charlotte, thanks for you nice comment, and you will get a Facebook notice of each new post because I notify all my Facebook Friends in general. However, if you want your own personal notification by email, you can go back to my blog and in the upper right hand corner of any post put your email address where it says “Follow Blog Via Email”. I would love it if you did that.